We, as a team, believe that being a student means more than just attending the classes you are supposed to attend and being a professional means more than participating at the conferences and workshops your school or industry pressures you to be part of. Because this is how we started The City of Green Buildings Organisation. By wanting to learn more, discover more, get involved more, wanting to create an organisation and gather interested people around the concept of building a greener future for us and our families. We know for sure there are students and young professionals living with the same desires as we do, maybe even you are one of them, and we are glad because the next generations will surely thank, if not all of us, at least some of us, who thought about their well-being. To develop, promote and protect the best and the highest standards regarding innovation and sustainability in buildings and regarding the way they are integrated in the urban space by developing a strong community of professionals and a social movement. You are the next professional and we will be more than happy to meet and build together towards a greener and energy efficient way of life. The first step through which we try to do this and accomplish our aim is education. Encouraging you, the young generation, who is actively involved and passionate together and continue to enrich your educational horizon with an informal way of learning. Therefore we encourage you to attend and enjoy The City of Green Buildings Academy 2017, with its “How to turn your building project into a brand?” theme. Informal education, from our point of view, means also fun and a different way of learning. That is why we integrated during this year`s and last years` Academies a lot of leisure activities. 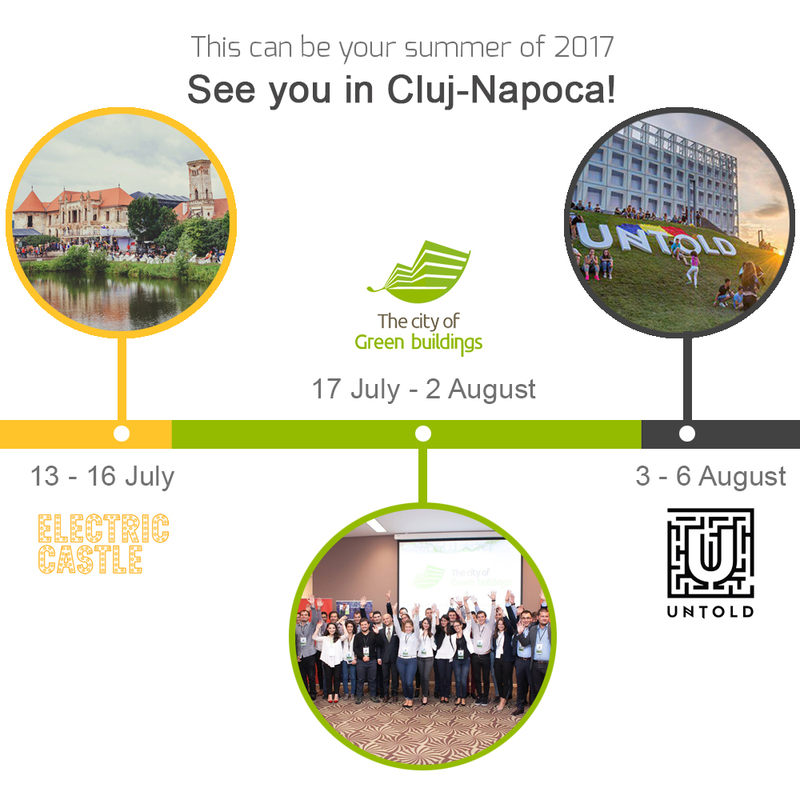 Moreover, for the music festival lovers, our Academy is taking place just between Electric Castle and Untold, internationally known for their line-ups.